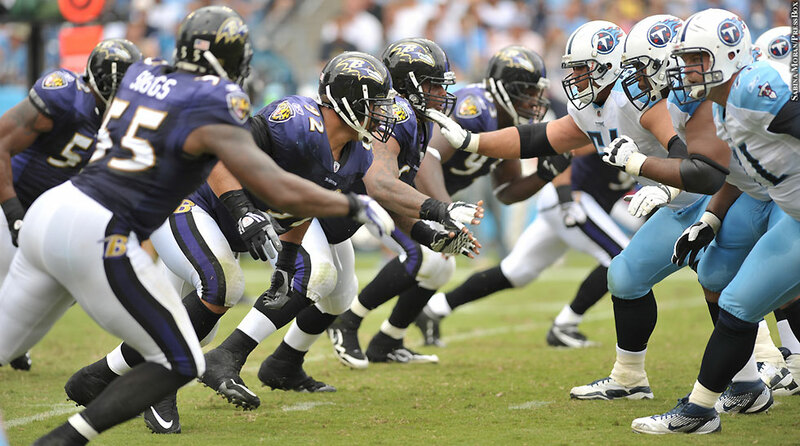 One of this Sunday’s featured games in a late 4:25 p.m. start on CBS is an AFC tilt between the 3-2 Baltimore Ravens and the 3-2 Tennessee Titans from Nissan Stadium in Nashville. The Ravens are coming off a tough 12-9 overtime loss to rival Cleveland as three-point road favorites with the total staying well UNDER BetAnySports’ 44.5-point closing line. Baltimore is now 3-2 both straight-up and against the spread with a 1-2 record (SU and ATS) in three previous road games. The total has stayed UNDER in each of its last three outings. After averaging over 30 points a game through their first four contests, the Ravens’ offense ground to a halt against the Browns. Joe Flacco threw for 298 yards while completing 29 of his 56 passing attempts, but he could not get his team into the end zone through the air. Turnovers, dropped passes and penalties did not help their cause. Baltimore’s defense remains the best in the NFL when it comes to points allowed (15.4). Tennessee is also 3-2 both SU and ATS through its first five games following Sunday’s 13-12 loss to Buffalo as a six-point favorite on the road with BetAnySports. The total stayed UNDER the closing 38.5-point line in that game and it has stayed UNDER in three of its last four games. The Titans are 2-0 SU and ATS in two previous home games against Houston and Philadelphia. This offense has been hit or miss all season. After grinding out a 9-6 victory against Jacksonville on the road, it bounced back to put up 26 points on the Eagles in that overtime win. In Sunday’s loss to the Bills, Marcus Mariota was held to 121 yards passing while completing 14 of his 26 passing attempts. The Titans added another 100 yards on 25 rushing attempts against a Buffalo defense that was torched for 47 points in a Week 1 loss to Baltimore. Each of these teams have shown some inconsistency on offense while playing to their strength on the other side of the ball. Look for Sunday’s matchup to remain a low-scoring affair that stays UNDER BetAnySports’ current 41-point total line.